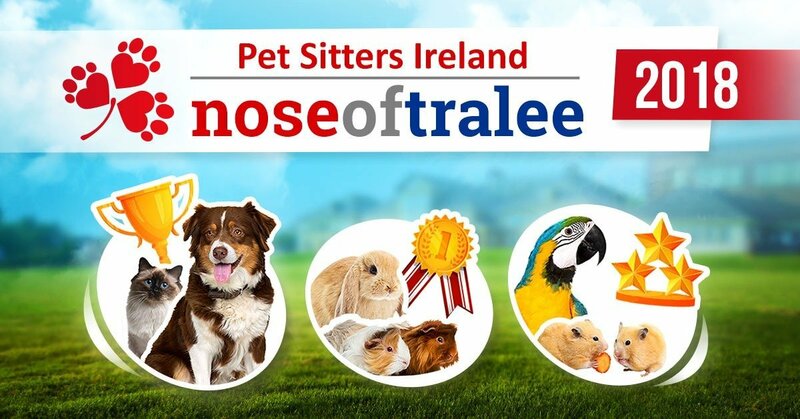 Pet Sitters Ireland are proud to announce our 2018 Nose of Tralee County Finalists. The judges have done an excellent job in selecting 32 finalists to represent each of the Counties in Ireland. The winners will now receive their Nose of Tralee sashes to take their finalist picture and we will be opening the vote again so the public can decide who takes the overall title of 2018 Nose Of Tralee. Thank you to everyone who entered and voted, there were so many amazing entries again this year. If you are one of the 32 Finalists then please email kate@petsittersireland.ie with your postal address so we can send out your finalists sash ready for the next stage of the competition. Lucky would make the best nose of tralee. 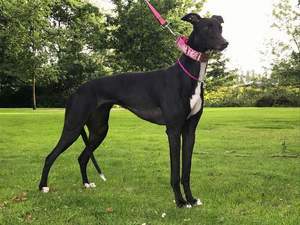 She is a great ambassador for greyhounds here in N.Ireland ,Taking part in many events to show what wonderful pets greyhounds make .Lucky came to me as an emaciated 10 week old pup ,taking sick after her first inoculation. She was a very sick girl and vet didn’t give her a great chance of survival .I persevered with her hand feeding and trying to get anything good into her to put on weight .It took over 5 weeks to get her on the road to recovery and once she had put on weight she was ready to be put up for adoption .3 years later she is still with me i could not let her go she has helped me in many ways with my depression and the reason why i am still here today .She is the best companion i could have .She is a very clever girl able to open doors and let everyone else in ,loves to run in the park but her best thing to do is just lie with her legs in the air and snooze the day away .Alot of people have the wrong idea about greyhounds , some thinking they are vicious dogs but the truth is you could not find a more gentle laid back breed .It would be fantastic if lucky could also be the Nose Of Tralee and maybe getting the word out and letting people see how wonderful they are and maybe more Greyhounds will find their forever sofa here in Ireland instead of them having to go to England and Europe to find their forever homes . Archie is my grand-pup. He’s just the most fun, energetic, loving fella. He definitely keeps us all on our toes! 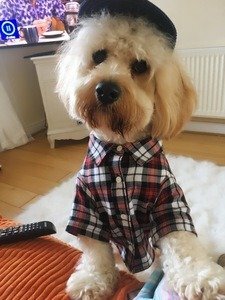 This little guy name is bailey he just loves dressing up loves his cap and shirt has his own dressmaker .. won Irelands top dog in 2017 also has his own you tube channel under magibailey. 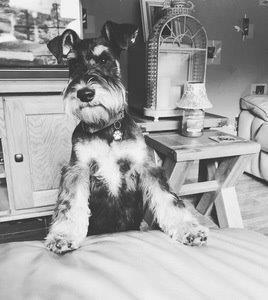 bailey has been doing tricks from age 2 months old he one of the cleverest little guys and has a huge personality just loves people .. one of his favourites is waving bye bye even when u have just entered the house. I adopted Benjamin from a parrot rescue, but he rescued me, too! I struggle with Bipolar Disorder, but he makes my life better through his cheerful disposition, and he gives me a reason to get up every morning and keep to a routine. Hes incredibly intelligent, affectionate, and loves eating treats from peoples hands, singing, flying, playing on his swings, chewing on wood, helping his mum (me) with paperwork in the office (ie shredding it), hanging out with his girlfriend, and he spends so much time in the bath that Im starting to wonder if he thinks he is a duck! 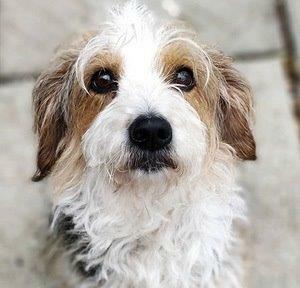 I think Izzy would make a great nose of Tralee as shes the best pet you could find in Ireland! 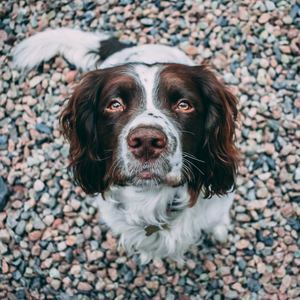 Izzy has become a bit of an internet star with a following of over 8k on instagram! 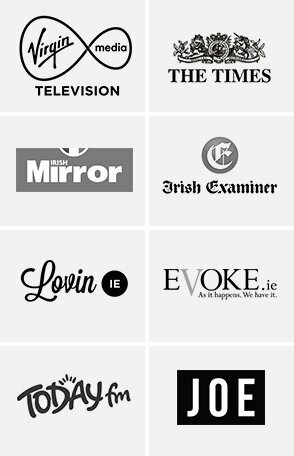 Sheâs a model for numerous brands , a trick dog that has appeared on Irelands got talent & the today show with the rose of Tralee presenter daithi ! . 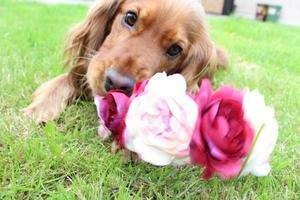 Izzys also a show dog with the Irish kennel club that travels all over Ireland to shows that she has been successful in! This is why I think Izzy should win as she deserves it and would represent the nose of Tralee very well. She is the best antidepressant, my soulmate. She will sit beside you all day long if you feel down. She is intelligent, energetic, alert and fearless. Her favourite thing in the world is putting a smile on my face and not only. 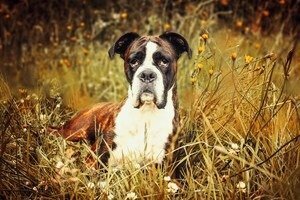 Most sweetest boxer on the planet. Sloppy kisser and great hugger 😀 My heart is full because of you , Roxy! Coco is 2 this month & I cant imagine life without him. While initially I took care of him, he has returned this care in spades; if sad or upset he licks my face: when an intruder scared me he learnt to let me know if ever any stranger is near my home: when I hurt my leg & shouted in pain he ran up & down my body to locate what to do. He welcomes me home with wagging tail & much barking. He uses the windows in the house to look out to say goodbye and check I’m home. He turns anyone’s frown upside down, even proclaimed not doggy people. He makes any challenging day better. He makes worries disappear. Basically, when I needed a hand of support, I got a paw. 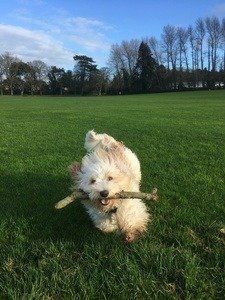 Coco loves to play ball, play with sticks, run on the beach and in the park and when his fluffy smiley head is running for you, you can’t help but smile/laugh back. He is now also a fur brother to his first new human sister and if she cries he pops his head up to see what’s wrong and he wags his tail and licks her feet to say hi to his 3 month old human sister. I’ve no doubt they will be best buddies. Coco deserves nose of Tralee for all these reasons but also because he has his nose in everything: when I try to plant flowers, he helps dig the hole: with the snow, he ran his nose along the snow: he runs in long grass, nose down and when anyone visits he sticks his nose into the conversation even to the point of wanting to sit on my lap & finally if my hubby and I cuddle, he wants in too :-). Coco for Nose of Tralee 2018. Cara is an amazing dog. Her best friend in the world is Noah who is 4 years old. Shes always up for cuddles and an amazing example as to why you should never judge a dog by the breed. 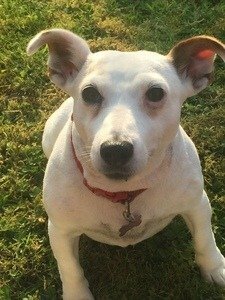 She is extremely friendly and loves nothing more than lying on the couch cuddling up to her family. 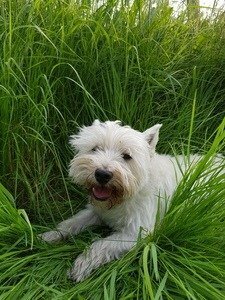 Mattie is a 15 year old West Higland Terrier. If Mattie was human he would definitely be best friend material. He is a great listener. He can be sympathetic when required. And most importantly he loves unconditionally. Mattie would make a great nose of tralee because he is a real people person and extremely photogenic. 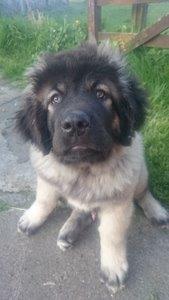 Martin’s hobbies include eating, sleeping, barking at tractors and weeing at least 50 times when out for a walk. 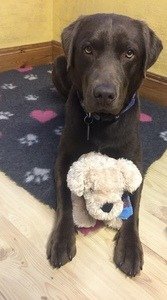 I think my Chocolate Labrador Aero would make a great Nose of Tralee because he’s very well behaved, friendly, energetic, placid, playful, socialises well with other dogs, also he’s good with people, has good awareness when meeting other dogs. 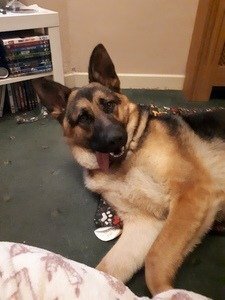 His favourite things to do are going for long walks, swimming, playing Frisbee, jumping on the trampoline with his toys, likes doing tricks, enjoys attending dog shows while bonding with his owner and finally he knows when you need a kiss or a cuddle when your’re in need of it. 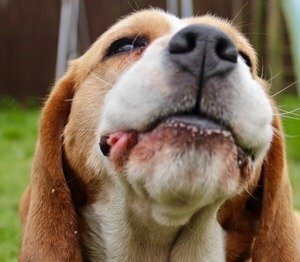 This loveable goofball was my first dog and taught me just how loving and amazing these animals are. At 9 years old she’s still on top of her game! Nothing can stop her from adventures! Not rain, snow or heat! Hiking and swimming are her two favorite things! She’s been to beaches all along the coast and hiked the best of the best mountains here in Ireland! She’s a big sister to her 9 month old spaniel brother who has taken right after her! He was extremely nervous and fearful when we first got him but Bailey showed him the ropes! Taught him how to play, how to sunbathe, slowly but surely he was swimming in the crazy waves of the Irish Sea by her side! She’s opened up both her little brothers and my own confidence greatly! I’ve seen so many wonderful sites around here in Ireland thanks to this dog! Have I mentioned she’s also a trick dog?! As well as being an agility master, she was a very eager learner! Whoever said you can’t teach an old dog new tricks was wrong! When she was 7 years old I started trick training her properly! As well as all the basic ms, a few of her favourites are wave, walk backwards , holding things in her mouth, bow ,beg and much more! She’s also a popular model! 2 years ago we started working with the first company for the beginning of her modelling career! We started off working with a business from Ukraine, she modelled their bandanas for their social media and websites and for general advertising! I myself do photography so they send over some of their products and in return I send them photos of Bailey using these products. She started out with bandanas, bow ties etc , then moved up to collars, leads, harnesses. 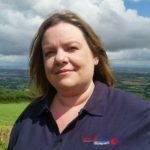 Now she’s at the point where she working with companies in over 20 countries (including some Irish companies which we love promoting!) 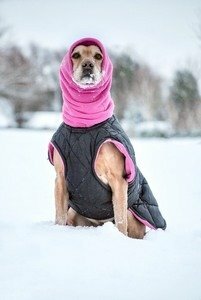 and is advertising everything from dog coats (even her own snood, as pictured with her ET look!) raw food/treats and loads more! I believe she would make a wonderful Nose Of Tralee! Aside from the fact that she is obviously the most beautiful dog around, she also has the brightest personality to match those sparkly eyes. If the photo doesn’t make you instantly fall in love with her then once you meet her, you will. Anyone that meets her wants to take her home with them. 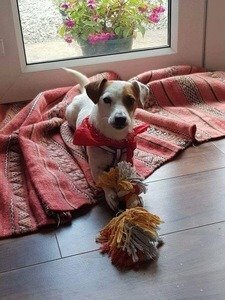 She has loads of love to share with everyone and gets on great with other dogs. She had a tough early life where she came from a broken home who didn’t want her because she was a female. At the age of 4 months we adopted her and she immediately filled our lives with love and joy. She recently got hit by a car but has pulled through miraculously and I think that winning the Nose of Tralee 2018 will really give her a nice boost after that fright. Poppy’s talent is chasing her tail (and catching it most of the time) as well as sitting on demand and catching treats in her mouth. With Poppy’s good looks, amazing personality and impressive talents, I think that she would make the perfect Nose of Tralee 2018. Mulligan would be the perfect candidate. 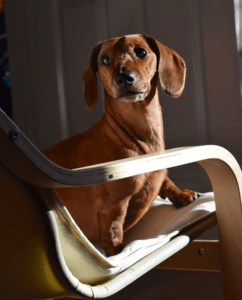 She is a miniature short haired dachshund and turned five in February. She has matured so much in recent years becoming big sister to a two and a half year old and six month old baby boy. Which isn’t easy as they are a full time job. Mulligan particularly enjoys helping with feeding especially helping cleaning up left overs or any unwanted mess! Bedtime is her favourite as she gets her treat after the boys are down and so much deserved attention. She’s spend the day following the sun around the house and if it’s raining she’ll find the warmest blanket to hide under or best case scenario someone will leave the stair gate open and she’ll l let herself into the warmest or nearest bed. She’s clever, patient and kind. Her top trick is closing press doors on request, such a helpful girl. 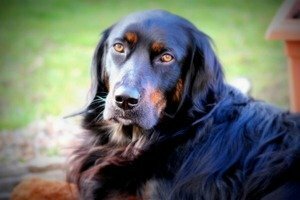 Pepe is a beautiful, gentle boy.He is 4 years old setter and retriever cross. He loves big walks, enjoys sun and snow too. Pepe always helps to Mam in garden work. He is very protective, loves other dogs but cats are no welcome :-)He is crazy for ice cream and swimming. He is beside Mam always and better than any psychologist. I’ve always wanted a dog and finally at the ripe old age of 26 my childhood wish finally came true and Ziggy came into my life! He makes me smile the minute I see him, even if I’ve had the worst day! He is the friendliest and happiest dog, who loves everyone! At first my parents tried to talk me out of getting getting a dog, saying how much work they were etc! Despite their reservations, Ziggy is probably the most loved member of the family! 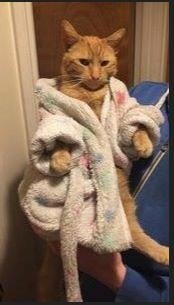 They call to my house to see him, not me! 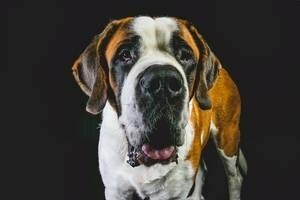 Ziggy has made my life so much happier, with his slobbery kisses, waggy tail and unconditional love. My partner and I now spend our weekends in forest parks with Ziggy instead of in front of the television! Ziggy just wants to be everyone’s friend, it doesn’t matter what you look like or even what species you are! 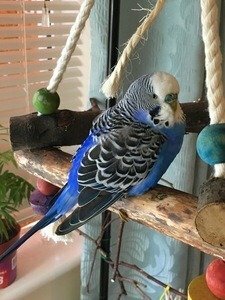 Ziggy is so clever and loves learning new tricks, but if there is a frizbee/ball/bird/anything that moves in his vacinity, the training goes out the window! Ziggy is my best friend and I can’t imagine my life without him! 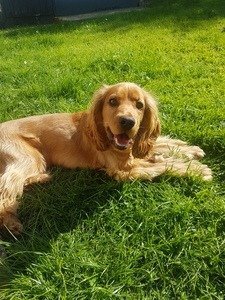 For all these reasons I think Ziggy should be crowned the Nose of Tralee 2018! 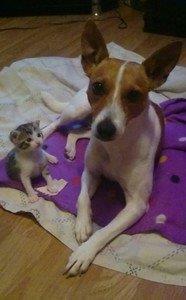 My dog lexi is amazing as I handraised this beautiful kitten since birth so has lexi she looks after better then me. As you can see from the photo kitten sees her as her mum. I believe lexi deserves to be the nose of tralee. She is just the best and most lovable dog you will meet. 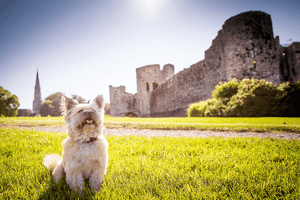 Here is a picture of Lexi standing proudly in front of Trim Castle. She lives in the country with my parents but loves visiting all the time in Trim, as this is where she really gets to show off! She knows she is beautiful I think! She is absolutely hilarious and lights up any room she waddles into. She has been known to turn even those who have said they hate dogs!! Everyone loves Lexi, she is the sweetest little girl there ever was and I think she deserves to win because I am really proud of her and would love to tell everyone about her achievement. She absolutely loves to make people happy and this would make all her adoring family really happy!! She is also a great poster model!! Well,, my Diego is a wee gem to me,, all dogs are special in their own way,,, but Diego is a cross breed, however, is very intelligent dog. He look like cuddley bear. 4 months old puppy. He so cute. He gentle giant. Love hugs. He got such lovely cute nose. Every one love him. 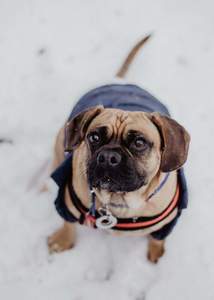 Fenton is our beautiful puggle and I believe he would make the best Nose of Tralee 2018 as the beagle in him means he has the best nose for sniffing out bacon, slippers or even new doggy friends to play with. He is the happiest little man who loves the sunshine, snuggles and has a few tricks up his sleeve. 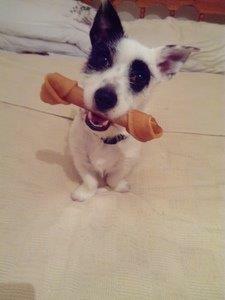 We have fallen in love with him since the day we fostered him & we just had to adopt him. 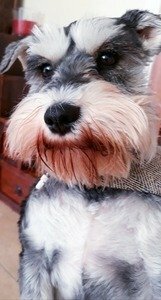 He has brought so much joy to all around him and loves nothing more than to snuggle up (and snore) on your knees every night .He has a bit of small man syndrome and loves to lie on the back of the couch watching the world go by. 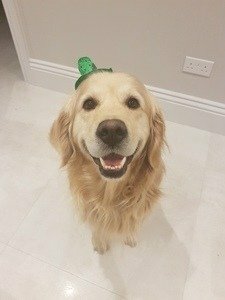 Fenton would be the best nose of Tralee and he loves to get his photo taken, that face would be beautiful painted and he would make his pet sitter very happy with cuddles and sloppy kisses. This is Chewie It’s clear to see just by looking at him why he would make a great Nose of Tralee ‚ he is the most loving cat you would ever meet! He has changed so many peoples opinions on cats. He is so loveable & he is like a big brother to my daughter, he protects her wherever she goes! 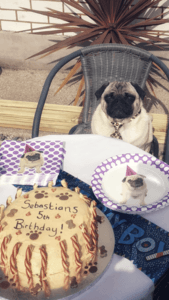 Sebastian is so charismatic and would be a great ambassador for the dog world! He is half pug half human, is extremely sociable due to spending about of time at by mums dog grooming/dog sitting business! Loves the camera and loves the attention he is fabulous and knows it. 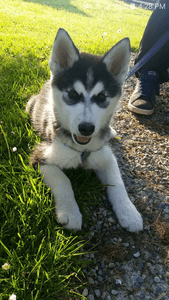 Energetic, loveable and all round adorable; Mylo is your next Nose of Tralee because he is your typical cheeky puppy. If he’s not chewing slippers he’s chewing bones. If he’s not playing fetch he’s following us around with the ball. And if he’s not barking as your living doorbell he’s curled up in his bed with all his teddys. Mylo is a real life doggy in the window. He sits and watches the world goes by in our bay sitting room window. 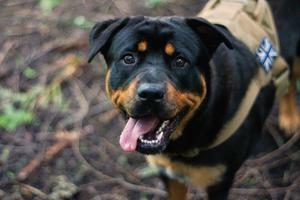 Not only is he a pretty pooch to look at, he’s kind and gentle nature makes him great with kids. Always up for a walk or a drive to the beach, he never ceases to amaze me with his energy levels. 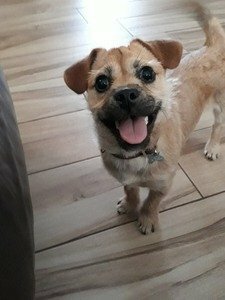 Always up for fun or always up to mischief my 1 year old pup Mylo, a Jack Russell cross Jug, truly is my bestest friend. Baroness is a mischief making, wonder creating, Queen of Barks! Her breed miniature â€˜Schnauzerâ€™ translates to snout, so we took this as a paw-sitive sign that she was destined to be the Nose of Tralee! Baroness lives with her furless Mum and Dad in the wild Serengeti of the Wicklow countryside. This social butterfly loves nothing more than to spend time with anyone who is up for playtime, including her best friend, a cow named Harry Paw-tter! Baroness possesses wizard like eyebrows and one of the finest beards in the country; so naturally, her favourite film is one with a wizard! A true Irish cailÃ­n, Baroness was born on the very patriotic National Paw-liday, St. Patrick’s Day! Our fur baby joined our family a mere 4 weeks after we got married. She is so special; I took pup-ternity time off work when we got her and now she comes into the office with me during the week. We even brought her away with us when we celebrated our one year anniversary! Baroness should win because she has the qualities needed to be a Nose. She is one of a kind, she has the kindest heart, brings happiness to everyone she meets and she’s as cute as a button!